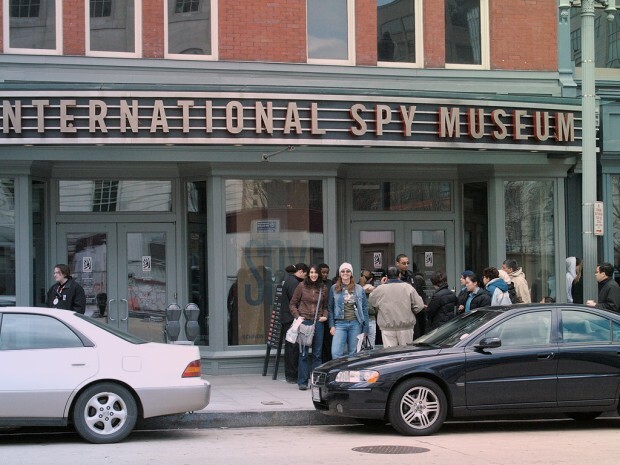 The International Spy Museum | Top Places to See in Washington, D.C. The International Spy Museum, which opened in 2002, is the only one of its kind in the entire world. It is devoted to telling how espionage & spies have shaped the course of history throughout the world, from the Greek and Roman Empires, to the Cold War, to the present day. The Spy Museum has 20,000 square feet of display space, with over 600 exhibition pieces, varying from the famous German Enigma code machine, to hidden cameras of all sorts, to hollow coins, and more. In the one hour Operation Spy simulation, you take on the role of an undercover agent, and work with a team, solving puzzles and completing tasks, in the effort to intercept a secret arms deal, and prevent nuclear weapons from getting into the wrong hands. 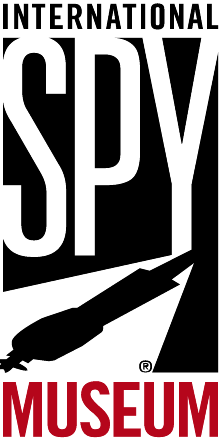 Spy In The City uses a specialized GPS device to guide you to various hidden clues in the area surrounding the International Spy Museum, with the goal of obtaining the password for a secret weapon. You can choose between two different circuits, the one hour “Operation SlyFox”, or the one and a half hour “Operation Catbird”. In the 2 ½ hour Spy City Tours, you’ll take a guided bus tour through Washington DC, and learn about the history of espionage in the city, with all of the key triumphs, disasters, an mysteries. Museum hours vary from time-to-time, so it is best to check ahead of your visit. To buy tickets (and get special combination prices), click here.